AMD V Series V160 - 2.4 GHz Processor - VMV160SGR12GM - Socket S1 - Used"
The Turion II P520 dual-core CPU was developed by AMD to deliver just the right performance in the notebook. The basis for this is the K10 microarchitecture, whereby Champlain was used as the code name. The Turion II P520 dual-core CPU was developed by AMD to deliver just the right performance in the notebook. The basis for this is the K10 microarchitecture, whereby Champlain was used as the code name. The used processor is technically sound, so it can be easily used to upgrade and repair a compatible device. To provide performance, the two cores of the AMD Turion II P520 operate at 2.3 GHz and 2 MB L2 cache (1 MB per core). 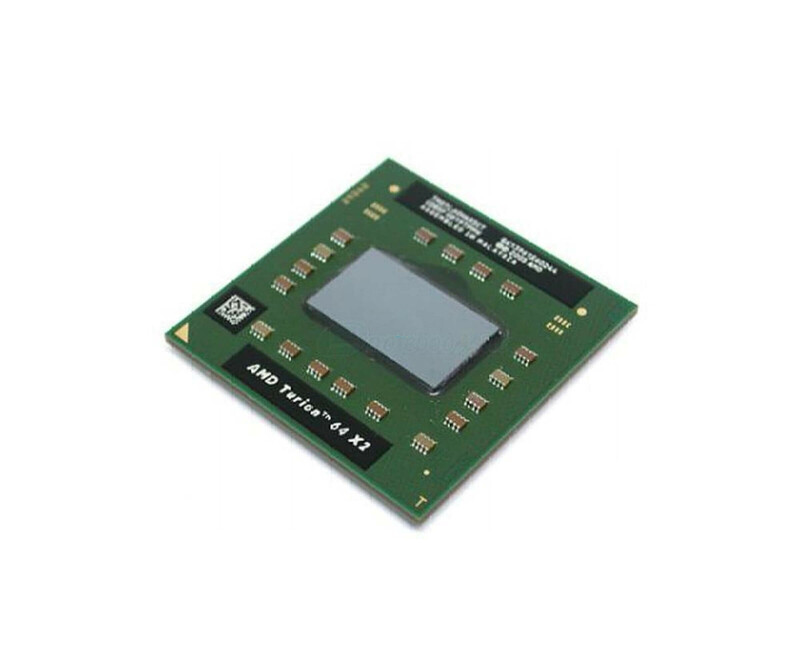 A 533 MHz DDR3 memory controller is also integrated, giving the CPU a solid overall performance. Of course, it supports the 64-bit instruction set equally. However, the AMD Turion II P520 uses many other technologies, including VT for virtualization and EVP for increased security. Furthermore, the low power loss of a maximum of 25 watts (TDP) is an advantage, since the battery life of the mobile device can be lower. The AMD Turion II P520 dual-core processor is mounted in socket S1 (S1g4), which therefore must be available on the motherboard. Look in this regard best in the manual or the other manufacturer information of your notebook for the appropriate information. A heat sink is not included as it is always adapted to the device.